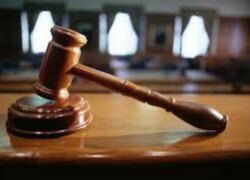 A LOCAL court in Lusaka has thrown out an adultery case after a man who sued the alleged lover of his wife failed to prove his case. 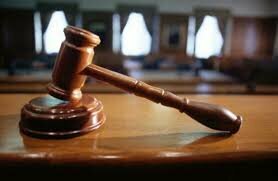 Senior Court Magistrate Abbishine Michelo sitting with Magistrates Lewis Mumba and Esther Mulomba at Kanyama Local Court ruled that in adultery cases, the accuser should come up with concrete evidence like catching the culprit red-handed. This is in a case in which George Mutesa, 54, a businessman of Kaoma sued Lameck Sichilima, 38, also a businessman of Kanyama on allegation that he committed adultery with his wife, Chisola Chingangu, 40. Mutesa told the court that he had been in marriage with Chingangu for 13 years and that he paid K800 dowry and has six children with her. He explained that when he came back from a business trip in Kaoma, he found Chingangu at Soweto Market with Sichilima’s clothes which she said she was washing for piece work. But Mutesa sued Sichilima for adultery. During cross-examination, Mutesa said that he found Sichilima with Chingangu and that was how he got one of his clothes. In defence, Sichilima said that he operated a shop at Soweto Market and that they assisted each other with Chingangu whenever need arose to transport goods, adding that he even allowed her to charge her phone from his shop. She testified that when Mutesa pestered her to show him where the phone was, she took him to the Rasta man where Sichilima was and accused him of sleeping with her. Chingangu said that Mutesa got the top cloth from a different shop where they were keeping goods last year of which Sichilima denied was his. Magistrate Michelo dismissed the case because there was no proof but only speculations.